It was a ‘normal’ Wednesday. I woke up to the fifth time my alarm was snoozing and had to rush a bath. I tried on several clothes and couldn’t settle for any until I had a pile of clothes at my feet and had five minutes to walk out or resume at work late. I finally threw on a dress and wore a 5” wedge heeled shoes to compliment it. Traffic was slow, a lot of drivers seemed agitated, but I had my car stereo on full blast and was singing and dancing away. I got to my job just at the nick of time. Early enough for our morning meetings. My job was pretty much routine. So I settled in and started work for the day. I was acting as the branch head at that time so it was more supervisory. It was a slow day, the kind that affords you time to think about things like what you would pair your new pair of shoes with😉. My phone rang and interrupted my thoughts. It was a very short telephone call that would teach me a great lesson. My shoes suddenly became heavy so I kicked them off. I had to investigate what happened as I wasn’t even told in-depth. We established the loophole and how it happened. I was devastated. The ride back home was somber. I was so deep in thoughts as I need to make critical decisions, I could hardly notice my regular Suya man (someone who makes grilled meat) waving at me. I got home and called my Ex explaining everything that happened. He said he was still at work and will call me back because, at this time, we lived in different time zones. I needed to cry so I headed to the shower. I find that I am able to assuage my grief by crying in the shower. After hours in the shower, I got ready for bed and tried calling my ex again. I needed a hug, I needed to talk, but he didn’t pick up so I dropped a message and went to bed. TAH-DAH! He called me in less than five minutes😲. He said that the amount involved was staggering and it got him confused, but I wasn’t asking you for money… I was independently running the house at this time. I will later find out that was only the beginning of his calculated confusion. 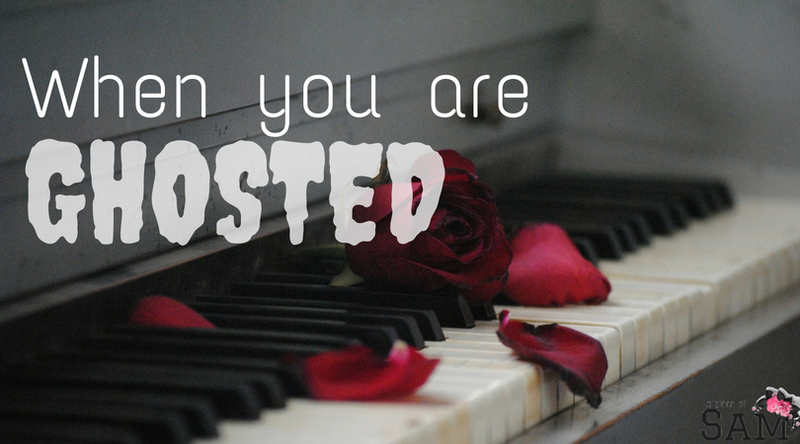 It happened so often that I always expected being ghosted at the slightest instance. Then when I relocated and we lived in the same house, ghosting was converted to malice keeping. I still didn’t leave but one thing I was certain of was that I was by myself and dude doesn’t have my back. I am freely sharing my story because my friends and family didn’t have the slightest idea that all this bull was going on in my life. I would put on some makeup and heels and I’m certain some people even admired me. A lot of women/men are seriously hurting in relationships and for whatever reason don’t share their bad experiences and don’t leave such toxic relationships. That can only be answered by you. Nobody is perfect. I am far from perfect, but I got my strengths too. But is it worth it to be constantly unhappy? I advise everyone to have a confidante. Talk to somebody because you are not doing yourself any good bottling in problems. I am an advocate for a problem shared is half solved. I said in a previous post to find a trusted person. to talk to and I got a comment about trusting no one as they will spread your stories. Hmmm… I personally don’t care what anyone thinks or makes out of my story, but I understand how hurtful that may be and I can only say that we should all be nice to everyone we meet. We need to stop being hasty to judge people because we are all facing private battles that others don’t know about. Do not make it worse than it already is. Also like I love to say, life is too unpredictably short to worry about certain things, do whatever you are comfortable with and what makes you happy. At times we tell people things just because we want support not because we want them to find solutions for us.. it’s often confuse for wanting them to solve the issue.. and this leads to running away or ghosting until said issue is resolved..
me sef don learn and I know those I can really turn to..